How do you make a career plan for dance? If you wish to elaborate a career plan for dance, you might want to proceed as if you were making a career plan for any other profession: imagine what you wish to achieve professionally and compare your dream with the real possibilities that your living context offers. Many dance professionals accomplish more than one of those tasks, in different levels of engagement. Now, to plan your dancing career, you need to confirm the real working options for each of those profiles in your city and according to your will. If you wish to be a dancer alone, are there enough companies in your city to work with? Do they pay good salaries? What is the average age of the hired dancers? Depending on the type of dance you do, your active professional life might end up sooner or later. So, what do you plan to do after that period comes to its end? Do you feel like you could choreograph? Or do you better feel like teaching? If you want to be a choreographer, you could work for already existing companies or you might try to create your own show-business. Dance is an art but its production is done in the very form of an enterprise, as for any other product. So, are you in a financial position that can allow you to invest in creating a dance company? Are there social or public funds in your country to support these kinds of initiatives? Do you feel like engaging in having your own troupe? Do independent companies survive well in your city? The teaching profile will much easily maintain your basic economies. This is because dance is practiced also by amateurs, for recreational or health purposes, which makes the market much easier and broader. So, are there enough dance schools where you could give classes in your town? Do you feel like opening your own private academy or something likewise? 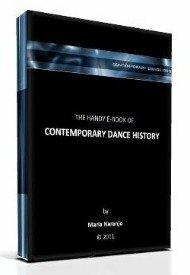 Are there high level studies in dance where you live? If there are formal institutions for dance education near you, you could also aim for being a dance researcher. This is something done by people who are very close to dance and produce theoretical knowledge about dance as a cultural practice. You would need to follow academic studies (like a master degree or a PhD), and then you could be hired as a researching professor by an University or such a kind of institution. It all depends on the way you wish to live, including the city and the specific dancing profile you want to have. Still, it is very important that you do a real deep research of the working options you have where you live. There's also the possibility to move to another town, in case that the situation does not fit your dreams. Many people do so. Dream your life, and look for the way to make it true. The world is full of options.